Do we offer service in your area? 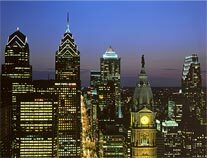 We cover the entire greater Philadelphia area while maintaining a fast response time, normally within 20-30 minutes a technician will be at your location ready to assist you. 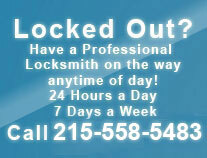 You can check out our more in depth view of our locksmith Philadelphia service areas here. Using a well-organized dispatching system we can locate and send the closest technician immediately. It’s a difficult task to satisfy a population of nearly 2 million, but we’ve been doing so successfully for several years and counting. Experience for starters, our Philadelphia locksmith team has many years of experience and has great knowledge as a result. Some things cannot be taught in a classroom and in this field that would be an understatement. Do we cut car keys? One of the most popular services is providing replacement car keys. This service is the most complicated and demanding of all. With so many different models and security systems out there we can make car keys for most cars and program computer chip keys to meet today’s standards. "The locksmith arrived within 15 minutes from the time I placed the call. He was courteous and professional. He picked our deadbolt in under 5 minutes and got us back inside. Thank you Total Security locksmith!" "We got back home from the supermarket and were shocked to discover we got robbed! The door was kicked in and completely damaged. In less than an hour we had new locks installed and were able to secure our front door again"
Copyright © 2006 by A & A locksmiths. All rights reserved.